1. Fill in Company Name & Invoice Number below, then press “Pay Now” button. 2. 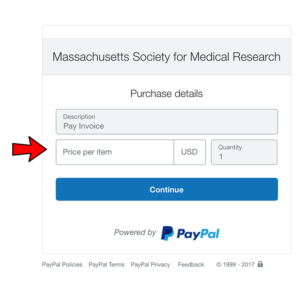 Fill in “Price per item” with invoice amount, then click “Continue”. 4. 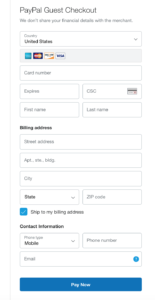 Fill out Credit Card billing and contact information, then click “Pay Now”. 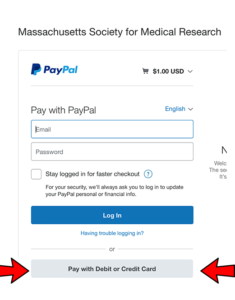 You will receive a payment confirmation email from PayPal.